Stamford police officers work at the scene where a motorcycle and Ford Explorer collided in Stamford, Conn., on Friday, June 27, 2014. Firefighters stand around a Piper PA-32 airplane which crashed at Sikorsky Airport on Saturday, June 25, 2011. A Chillicothe police officer looks at a GMC Canyon truck that rolled into the Scioto River from a ramp in the Yoctangee Park Annex. Police and MTA employees work at Camp Ave. near Hoyt Street after the driver of a sedan collided with a Metro-North train August 17, 2011. Arthur Ison is moved onto a stretcher after a car accident on South Bridge St. near U.S. 23 caused his head injury. 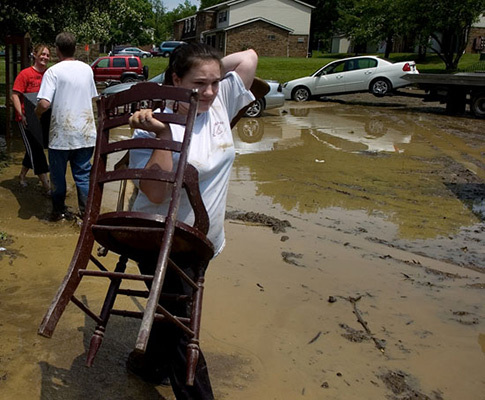 Woodland Heights residents move belongings from their flooded homes into a dumpster as submerged cars are towed after muddy flash flood water receded Wednesday morning. Firefighters work at the scene where a crash resulted in a fire fully engulfing a van, left, which was transporting a Chillicothe Correctional Institution inmate who died at the scene. Bainbridge firefighter Larry Skaggs battles a blaze that claimed the home of Curtis Knapp on California Pike Monday afternoon. The two-story house was deemed a total loss. Drivers carefully maneuver through flooding on Elm Street in Stamford, Conn., during heavy rains due to a Nor'easter on Tuesday, December 9, 2014. Party-goers stand on the roof of an apartment at the Carriage House Apartments during Spring Weekend at the University of Connecticut on Friday, April 22, 2011. A woman is taken to an ambulance on a stretcher as her overturned Toyota sits on the sidewalk behind her after an accident on Colonial Road on Wednesday, January 1, 2014. Trooper David Johnson, right, walks around a Hyundai that flipped Thursday on Egypt Pike. 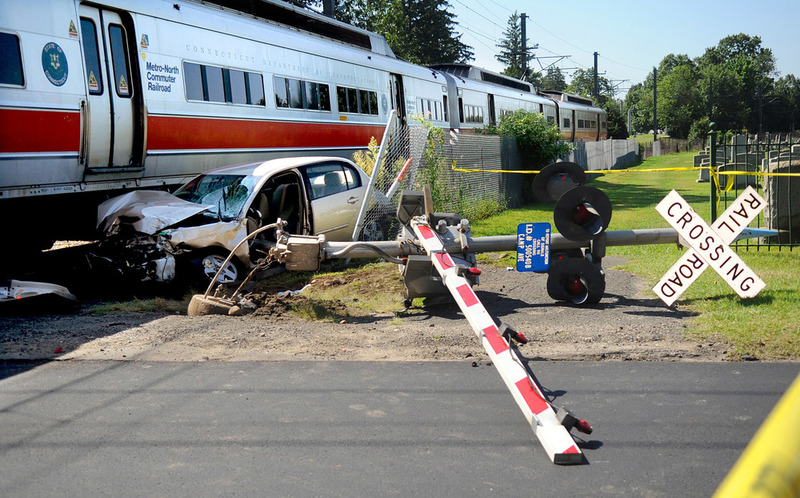 The driver of the car was partially ejected during the crash. A firefighter walks through the burning rubble of 305 Webbs Hill Road in Stamford, Conn., where the home exploded on Tuesday, Sept. 17, 2013. A Green Township Firefighter smokes a cigarette as he works to extinguish a fire in Williamsport. The fire destroyed John Rankin's historic home. 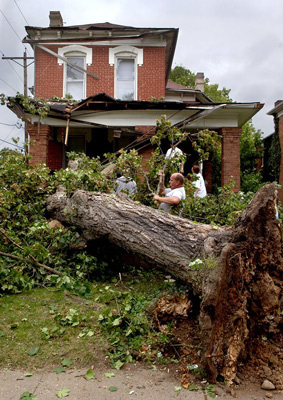 Residents and neighbors on South Hickory Street help remove branches and leaves from the tree that fell on their house during strong winds Sunday. 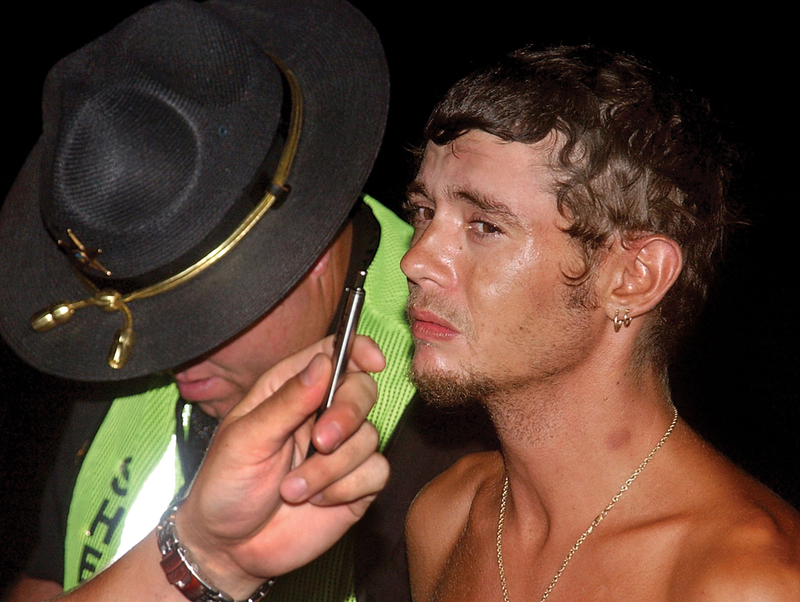 Jack Justice is tested for sobriety at a checkpoint set up in a joint effort between the Highway Patrol and the city police department. He was arrested for OUI.